Yesterday a video of Model S driver in traffic allegedly sleeping behind the wheel on Interstate 5 Freeway in Los Angeles, the car in Autopilot mode was reported on imgur via Reddit. Reasons are still unknown as to why the driver fell asleep, or perhaps unconscious, or even faked it. 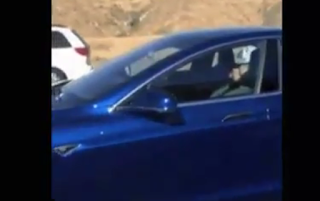 It is safe to assume he did not get enough sleep and decided to have a shut eye while Autopilot takes care of the driving. Eventhough Tesla's Autopilot and AutoSteer have proved to be somewhat reliable since the launch of Version 7.0 in October last year, Tesla has repetitively made it clear that drivers "remain engaged and aware when AutoSteer is enabled" and "must keep their hands on the steering wheel". The car will emit sounds and display alerts when the driver needs to take over. In the event that the driver can't be raised, the vehicle will activate its hazard lights and move towards the hard shoulder, where it will then stop. AutoStreet is still in beta phase, it keeps the car in the current lane and engages Traffic-Aware Cruise Control to maintain the car’s speed. Using a variety of measures including steering angle, steering rate and speed to determine the appropriate operation, AutoSteer assists the driver on the road, making the driving experience easier. 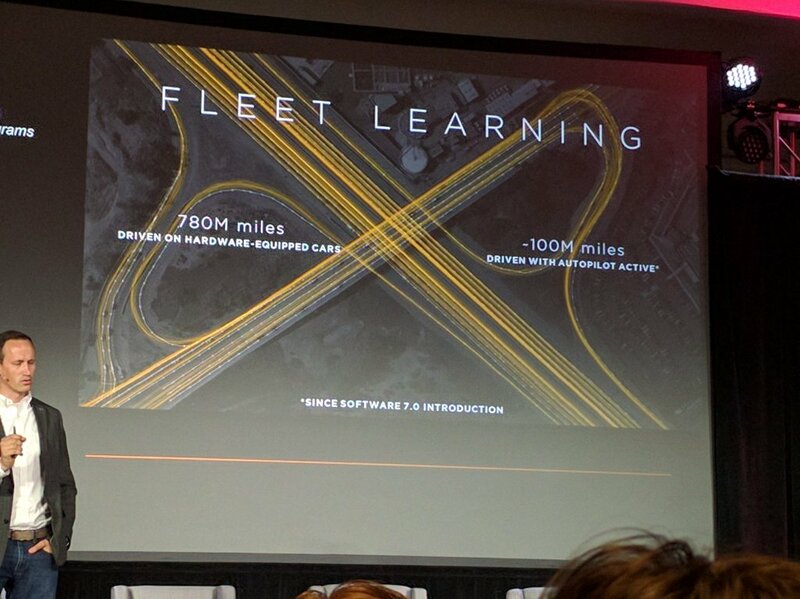 Tesla says owners of its electric vehicles have driven 100 million miles using its autonomous Autopilot feature. Tesla's director of Autopilot Programs Sterling Anderson was at the EmTech Digital conference today speaking on the MIT Tech Review panel about "delivering the Promise of Autonomous vehicles" in San Francisco. He told the audience that the data collected from those trips is being analyzed to improve the Autopilot function and introduce more upgrades. He warned that Autopilot cannot legally replace a driver as of yet and insisted that it "should be used with a driver fully engaged, fully in the loop, using their cognitive abilities as they normally would". In addition, he advised drivers to "stay very in tune with the set of scenarios the car doesn't handle well" adding that they "should be very engaged and be prepared to take over." The company has around 70,000 vehicles on the road capable of Autopilot, and those who enable it log 2.6 million miles a day. 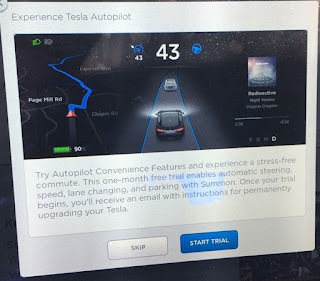 Back in April, Model S and X owners with no Autopilot Convenience Features but with capable hardware were starting to receive a notification for a 1 month free trial membership. Once the trial comes to an end, they will receive an e-mail offer to enable this OTA software for $3,000. Autopilot hardware has been an optional feature on the new Model S from September 2014 for $2,500. 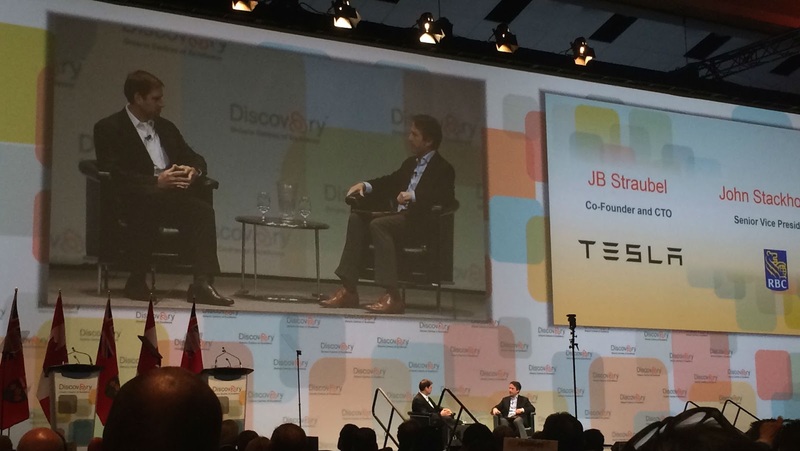 Earlier this month, JB Straubel talked about autonomous driving at the Ontario Centres of Excellence's Discovery 2016, explaining that the technology will soon be in every car in less than 10 years. "...Cars today, with autonomous technologies and sensors, they're driving close to a millions of miles a day, that’s more than most customers drive in a lifetime, so in that short time period they can encounter almost all the things one human will encounter in a lifetime driving so imagine if you let that integrate for a few years how smart a driver that could be, better than any human could ever be. So that’s a fascinating thing that is happening where AI is going have the ability to lay augment the humans and make cars safer and more convenient. In terms of autonomous driving, Tesla is investing quite a lot, it’s one of our biggest investments, we see that as transformation for cars in the future. We can expect it in less than 10 years, cars will basically be able to prevent accidents caused now by human error or distractions and are largely avoidable. With technologies we’re using essentially inside our cars today we’re offering a level of convenience that just can’t get from cars. There’s so much wasted time sitting on highways in traffic, going through city driving we see all that as something that can be automated in the near future. We have over a billion vehicles so you can’t add technology to these overnight or retrofit them. But We’ll see incredible amount of integration of autonomous capability into new vehicles being sold just like we saw things like airbags or seatbelts before that, or ABS systems. Except it will have much bigger social impact on transportation and parking etc…"